The Cadet Professional Development Training (CPDT) program provides Cadets with optional summer training opportunities during summer, winter and spring breaks. CPDT is further broken down into five sections: Cadet Practical Field Training (CPFT),Cadet Troop Leader Training (CTLT), Drill Cadet Leadership Training (DCLT), Internships and the Cultural Language Program (CULP). The Air Assault school, conducted at Fort Campbell, Kentucky, is 11 days of mental and physical challenges. This school is designed to teach air assault skills and procedures involving rotary-wing aircraft, improve basic leadership skills, instill the Air Assault spirit and award the Air Assault Badge. Obstacle Course - You will be required to negotiate a demanding obstacle course. Physical Training - PT is conducted daily. Distance runs of up to three miles are standard. Rappelling - You are required to tie a series of knots and conduct graded rappels from walls and helicopters. You must successfully complete three day and two night helicopter rappels. Troop Ladder - You will ascend and descend the troop ladder on a 35-foot tower and a CH-47 helicopter. Rigging and Sling Loading - You will be taught and tested on how to prepare, rig and inspect numerous pieces of Army equipment for helicopter transport. Road Marches - You must complete a 6-mile road march in 1 hour and 30 minutes or less; you must also complete, at the end of the course, a 12-mile road march in 3 hours or less. Evaluations - After each phase of training, all students are given a written and practical examination based on a PASS/FAIL system. The purpose of the Basic Airborne School is to qualify the volunteer in the use of the parachute as a means of combat deployment and to develop leadership, self-confidence, and an aggressive spirit through mental and physical conditioning. The CTLT Platoon Leader track provides Cadets the opportunity to experience leadership in Army Table of Organization and equipment (TO&E) units over a three to four week period. Cadets serve in platoon leader positions or other positions where a second lieutenant is normally assigned. Platoon Leader positions have a 3-4 week duration depending on the hosting unit and location. Assignments include units that are located CONUS and OCONUS. Cadets are assigned a unit mentor, and are provided on-post lodging and meals via a Dining Facility. This program is exclusively designed for MSIII Cadets after completion of LDAC. There are no exceptions to this policy. 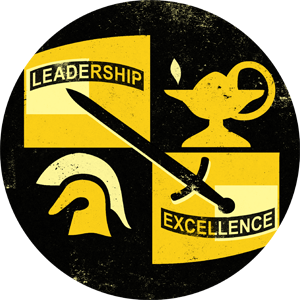 The Department of the Army is currently developing a comprehensive strategy to define, assess, and train culture and language proficiency skills. Part of this strategy is expected to address how Cadet Command increases Cadet language learning exposure. Cultural awareness training is already incorporated into our curriculum, at LDAC, and now via many more overseas culture immersion internship opportunities. Increase number of Cadet cultural immersion opportunities using existing programs to minimize additional resource requirements. Participating Cadets develop culture awareness skills and appreciation of cultural differences and recognize potential impact on assigned. Read Cadet's CULP experiences. The 4-week DCLT program provides Cadets serve in a platoon leader or executive officer positions in IMT companies and work closely with Drill Sergeants and other cadre. Cadets experience leadership training with Initial Military Training (IMT) Companies. Cadets with an Academic Major of Nursing are the only cadets eligible to apply for this program. Cadets are assigned to Army Medical Facilities both in the continental United States (CONUS) and outside the continental United States (OCONUS) including Alaska, Hawaii, Europe and Asia. NSTP provides nursing cadets with opportunities to develop and practice leadership in a clinical environment. Cadets work side-by-side with an Army Nurse Corps Officer preceptor. To qualify, cadets must submit an application packet through their PMS and the Brigade Nurse counselor to the Cadet Command Chief Nurse. Cadets applying for this program must be certified in Basic Cardiac Life Support (BCLS) and certification may not expire prior to the completion of NSTP training. University of Kentucky Nursing Cadets recieve 3 Credit hours of nursing credit for NSTP.